So Jacob received a blessing intended for Esau. When you read the body of the blessing, it is clear Isaac was not happy with God’s plan for Jacob. He attempted to reverse all that God had already promised. In spite of his efforts, God still made his plan prevail. God allowed Isaac to be deceived. Isaac then blessed Jacob as he was supposed to. The fall out was tremendous, but God’s plan was done. When we try to intercede and undermine God’s plan, we also find that our best efforts will be thwarted so that his plan can prevail. The more we are willing to listen and follow him, the less difficult it will be for him to do what he needs to do. In addition, we will be able to point to what he has accomplished and give him the glory. We simply need to listen to him and follow his direction for our lives. When we do, he will bless us. Help me Father to follow you and not try to undermine your plan. “The Lord your God gave me success, ” he replied. Both Isaac and Rebekah were looking to assist God in his execution. The results were ridiculous. So much deceit, so much pain. Isaac knew God’s promise to make Jacob the lineage, yet he wanted to bless his Son Esau. Rebekah knew God’s plan and protected Jacob, but should she have simply told Isaac the truth. We do not know God’s ultimate plan. We simply know he is the ultimate God. As we wait on him, he blesses us and provides. Usually there is not a great deal extra, but always there is enough. In Isaiah God promises strength, sufficiency and amazing power if we are willing to wait for it. Isaiah 40:31—Those who wait on the Lord will renew their strength they will mount up with Eagles wings. (They will run without tiring; they will make the journey without passing out!) My paraphrase at end. We must be willing to endure no matter how Long the battle. We have to walk by faith and remember the Children of Israel they lived on Manna daily for 40 years. God’s lessons are not always quick, they are rarely fun but when we follow his plan we always see his Glory win out. Help me Lord to wait upon you and not try to change your plan. Isaac was faced with famine—just like his Dad. God directed him not to go to Egypt he obeyed. Isaac was not only saved from the famine, but blessed besides. The change in areas helped him to grow rich and powerful. His Godless neighbors saw God’s blessing and tried to destroy him. God did not allow it. As we journey with God, we see him make provision again and again—yet when things get tough, we fold or at least hedge to accommodate our fear and insecurity. When we do, it never plays well. But, if we stand firm, God ultimately shows his covenant and commitment. When he does, the world looks at us with amazement and jealousy. They often want to distance themselves or even undermine God’s work in our lives. We have to stand firm and wait patiently for him to act. His acts are always better than ours. His way always makes sense. We can never lose hope or lose faith in God’s commitment to us. Help me, Lord to walk in your plan, by faith and without my own plans in hand. 10 Then Abimelek said, “What is this you have done to us? One of the men might well have slept with your wife, and you would have brought guilt upon us.”11 So Abimelek gave orders to all the people: “Anyone who harms this man or his wife shall surely be put to death.” 12 Isaac planted crops in that land and the same year reaped a hundredfold, because the Lord blessed him. 13 The man became rich, and his wealth continued to grow until he became very wealthy. 14 He had so many flocks and herds and servants that the Philistines envied him. 15 So all the wells that his father’s servants had dug in the time of his father Abraham, the Philistines stopped up, filling them with earth. 16 Then Abimelek said to Isaac, “Move away from us; you have become too powerful for us. ”17 So Isaac moved away from there and encamped in the Valley of Gerar, where he settled. 18 Isaac reopened the wells that had been dug in the time of his father Abraham, which the Philistines had stopped up after Abraham died, and he gave them the same names his father had given them. Our culture speaks a great deal about “Instant Gratification”. The bible is clear– instant gratification is not a new phenomenon. Esau had the “rumbly tumbly” to use Winnie the pooh jargin. He smelled his brother’s soup and traded his Birthright for a bowl. To grasp the enormity of the act, Isaac was by today’s terms a Multi-Millionaire. The 1st born takes the majority of the wealth upon death of the parents. In addition, the person with birthright becomes the patriarch of the family. So for Esau to trade that for a bowl of soup, seems ridiculous. Well, we are the same. Pete Rose traded his entrance to the hall of fame to gamble. Countless pastors have traded their ministry for sexual sin. Corporate officers have traded their careers and lifestyles for greed and parents trade their families and lives for selfishness. God tells us to seek first HIS kingdom and righteousness—then you need not trade anything he will add the other stuff at NO extra charge (Matthew 6:33). 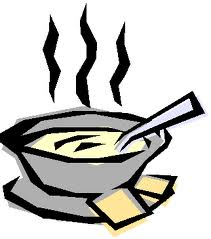 What are our lives and families worth…I believe much more than a bowl of soup. Help me Lord to value the life you have provided, and help me to seek you with all I have and am. 24 When the time came for her to give birth, there were twin boys in her womb. 25 The first to come out was red, and his whole body was like a hairy garment; so they named him Esau. [d] 26 After this, his brother came out, with his hand grasping Esau’s heel; so he was named Jacob. [e] Isaac was sixty years old when Rebekah gave birth to them. 27 The boys grew up, and Esau became a skillful hunter, a man of the open country, while Jacob was content to stay at home among the tents. 28 Isaac, who had a taste for wild game, loved Esau, but Rebekah loved Jacob. When we receive Christ as Lord, he conforms us into a new creation and ultimately into his image. Such forging only happens in extreme heat and repeated molding. We must be prepared to face the controversy and adversity—then we can also enjoy the final molding and conforming he promises. Help me Lord to be conformed to your image, no matter the cost. 19 This is the account of the family line of Abraham’s son Isaac. Abraham became the father of Isaac, 20 and Isaac was forty years old when he married Rebekah daughter of Bethuel the Aramean from Paddan Aram[c] and sister of Laban the Aramean. 21 Isaac prayed to the Lord on behalf of his wife, because she was childless. The Lord answered his prayer, and his wife Rebekah became pregnant. 22 The babies jostled each other within her, and she said, “Why is this happening to me?” So she went to inquire of the Lord. God loves to do things in a way that shows his signature. Abraham’s servant arrives in Haran and there to meet him is Isaac’s wife. As he finished praying, Rebekah appeared . When The servant returned Isaac was out praying, As he looked up they appeared. Time and again, God proves his plan and its execution. Still, then and now people have very short term memories. They soon forget God’s consistent commitment and completion of his promise. So, when they are in need or feeling self-sufficient, they act as if God cannot be trusted. Still he keeps his daily commitment to provide our needs and participate in our lives. As we surrender he directs and comlpletes in us a plan that is amazing. We have to be patient; we have to set aside our preconceived ideas, but, when we do, he gives us the things we need and his spirit to comfort guide and direct us. We have to follow to the end. We cannot get close and quit. We are more than conquerors in him and we must cling to the thousands of years of consistent completion of his plan to carry us through. Help me Lord, not to lose faith and hope in you. It is never a bad time to pray. Abraham’s Servant was sent on a very critical mission. He was to return with Isaac’a Bride. No pressure, right. So the Servant made the best choice of all put it in the Lord’s hand and let him execute his plan. The Servant prayed specifically and God answered specifically. God drew Rebekah into the servant’s path and showed him she was the answer. In our lives, God listens to our prayer and is equally as willing to answer our prayer as well. When he does, we need to be grateful and vocal about God’s specific answers to our specific prayer. When we cling to him and His promises, God is glad to lead, guide and direct us to the place we need to be. Help me Lord to be present to pray and willing to wait and watch you answer. 12 Then he prayed, “Lord, God of my master Abraham, make me successful today, and show kindness to my master Abraham. 13 See, I am standing beside this spring, and the daughters of the townspeople are coming out to draw water. 14 May it be that when I say to a young woman, ‘Please let down your jar that I may have a drink,’ and she says, ‘Drink, and I’ll water your camels too’ —let her be the one you have chosen for your servant Isaac. By this I will know that you have shown kindness to my master.”15 Before he had finished praying, Rebekah came out with her jar on her shoulder. She was the daughter of Bethuel son of Milkah, who was the wife of Abraham’s brother Nahor. 16 The woman was very beautiful, a virgin; no man had ever slept with her. She went down to the spring, filled her jar and came up again. 17 The servant hurried to meet her and said, “Please give me a little water from your jar.”18 “Drink, my lord,” she said, and quickly lowered the jar to her hands and gave him a drink. 19 After she had given him a drink, she said, “I’ll draw water for your camels too, until they have had enough to drink.” 20 So she quickly emptied her jar into the trough, ran back to the well to draw more water, and drew enough for all his camels. 21 Without saying a word, the man watched her closely to learn whether or not the Lord had made his journey successful.